Which Bible is God's Holy Word? Many of God's people today do not realise that their modern bible versions are translated from a few Gnostic corrupted manuscripts, which originate from the very seat of Antichrist; instead of the vast majority of authentic manuscripts which represent the True Word of God. Many false books have been published to promote these corrupt manuscripts and down play the true Word of God. This is designed by Satan to deceive the people of God and lead them into sin. Study for yourself in the section below, the clear and abundant evidence of this evil work of the Devil and the serious consequences, if left unchecked. Click here to read "Which Bible is God's Holy Word" A new pdf document will open. 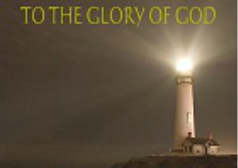 Click Here to Read "To The Glory of God" whole book for free - a new pdf document will open.